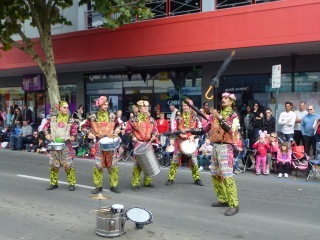 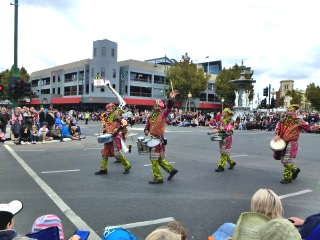 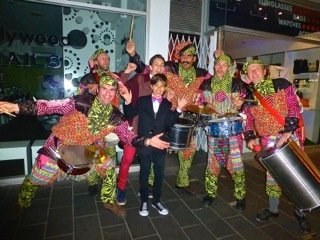 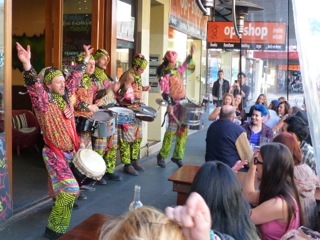 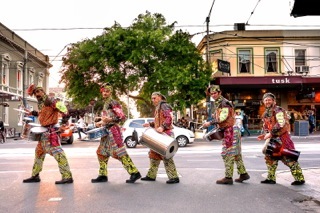 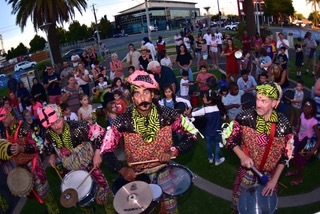 SPONTANEOUS, INFECTIOUS PERCUSSION ON THE MOVE! 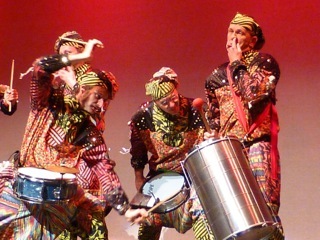 BATACUDA a group of gad-about percussionists creating foot tapping, hip swivelling rhythms. 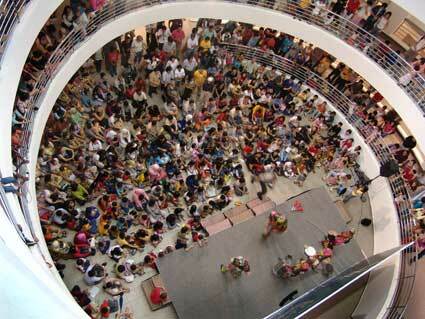 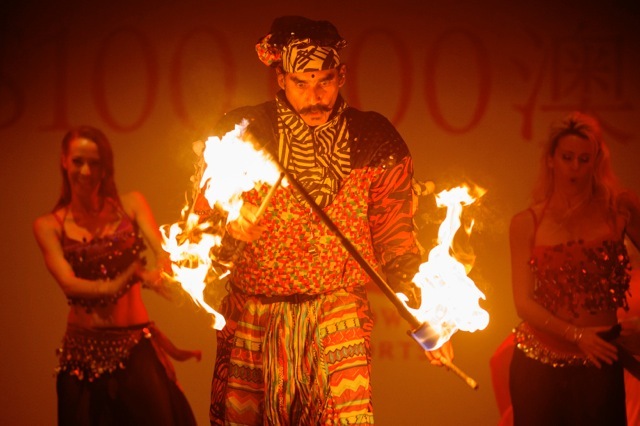 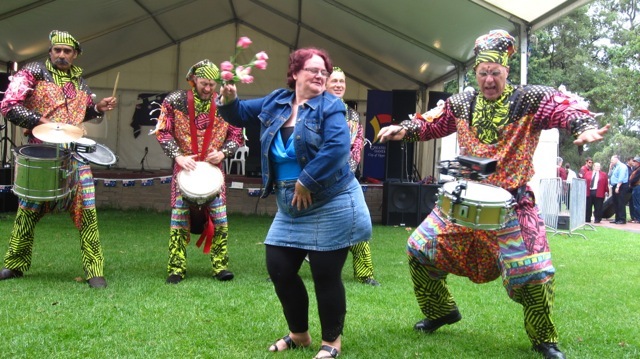 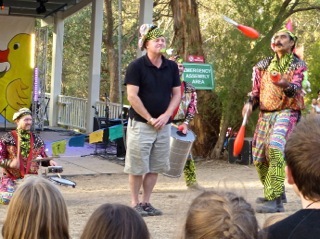 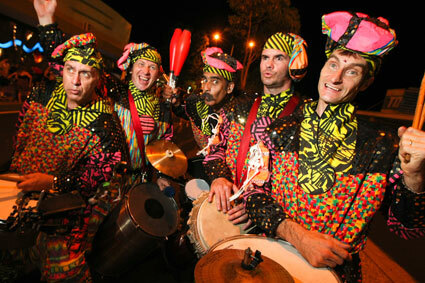 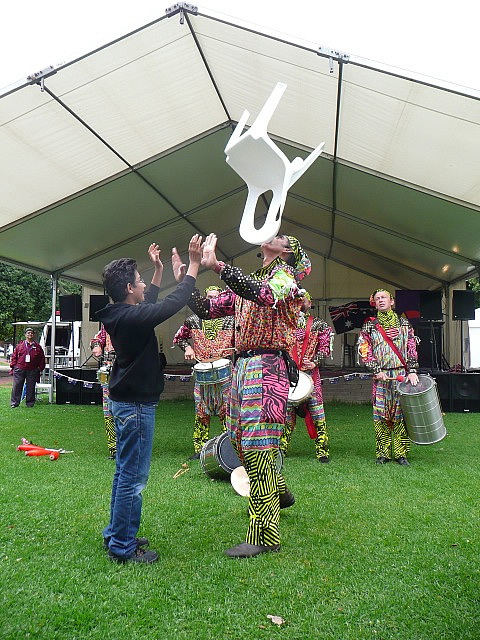 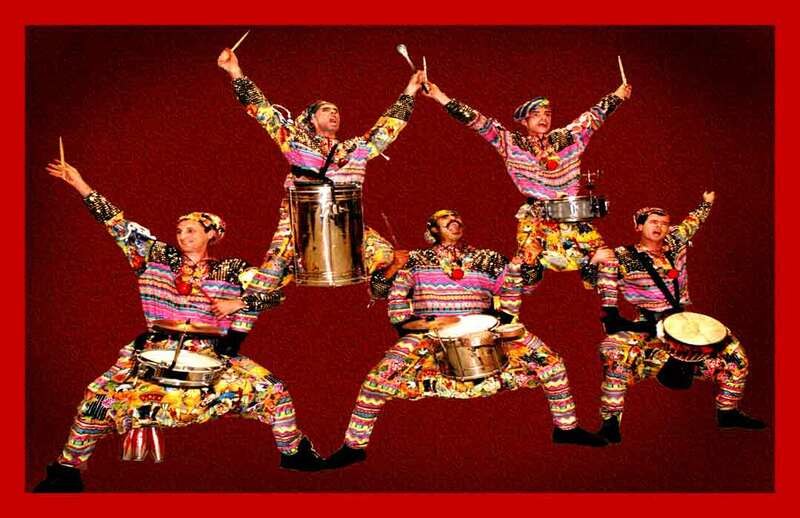 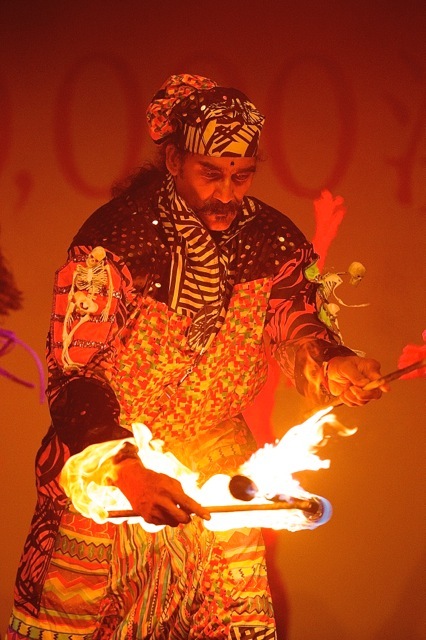 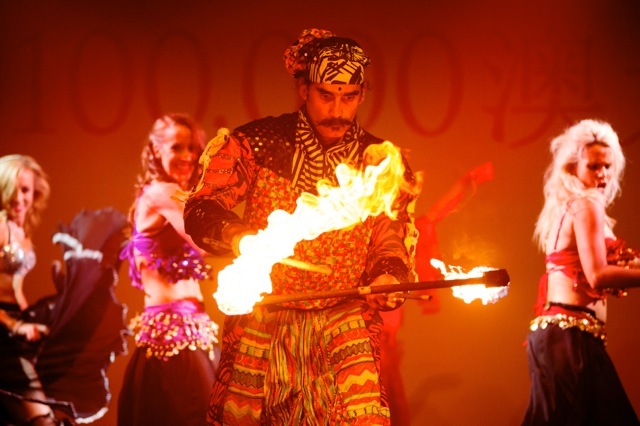 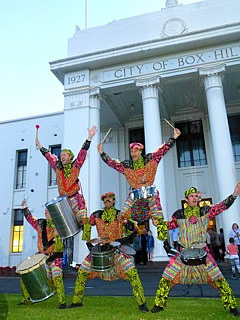 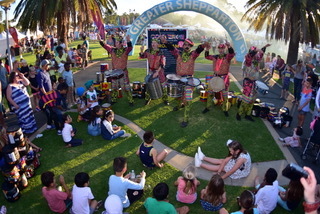 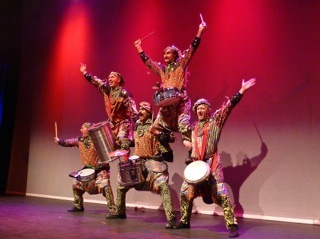 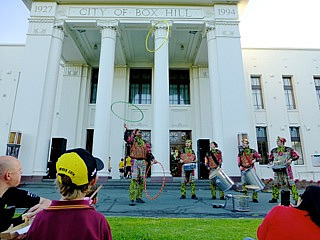 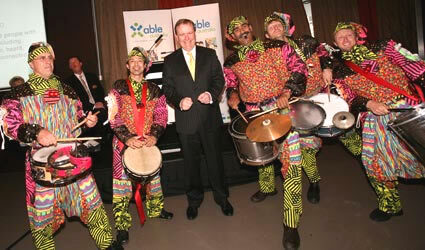 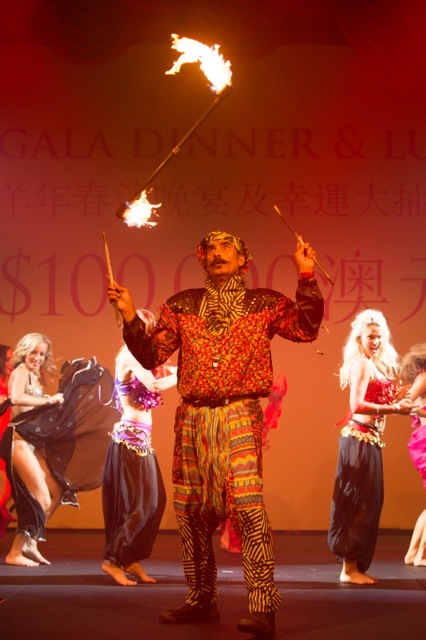 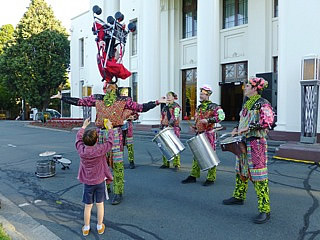 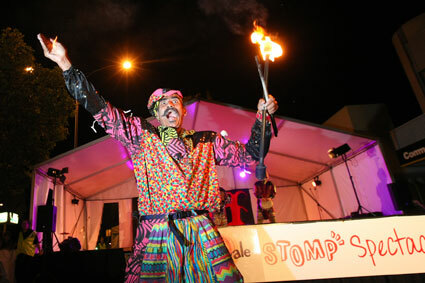 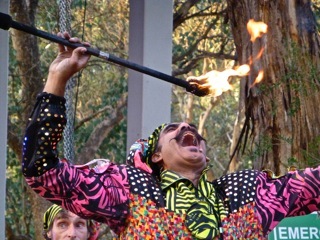 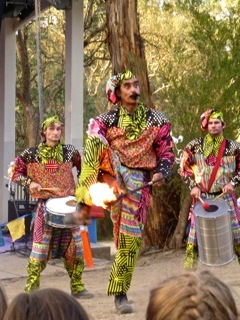 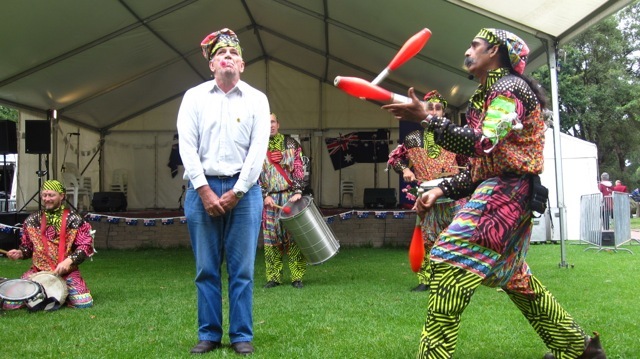 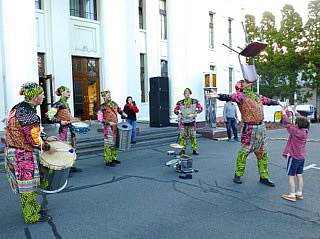 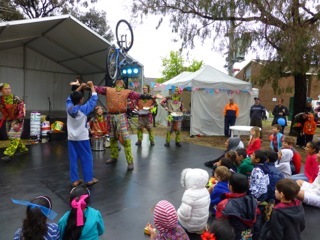 A high energy cross cultural medley of percussion, circus skills and mayhem. 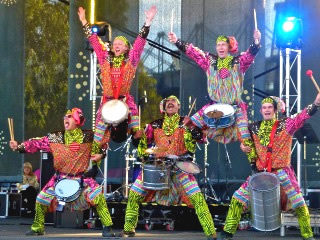 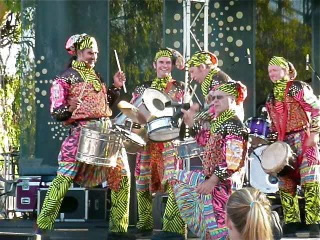 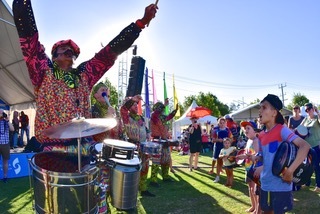 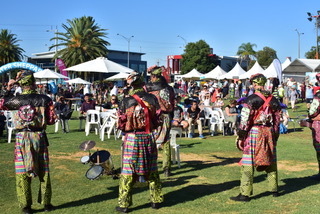 This vibrant and colourful troupe have performed extensively both nationally & internationally in countries like Singapore, China, Malaysia & Latin America. 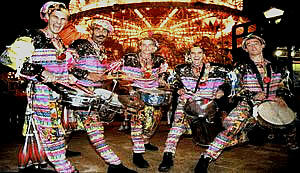 Playing rhythms from around the globe even Rock 'n' Roll, creating an atmosphere of excitement & celebration. 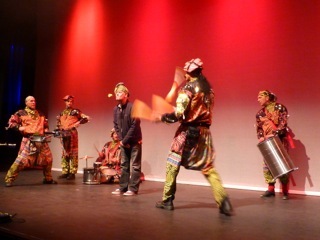 BATACUDA are totally mobile, able to rove amongst the audience, encouraging participation along the way. 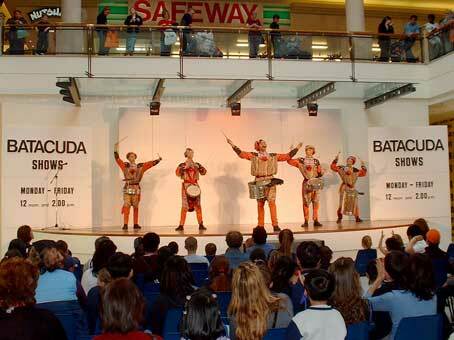 BATACUDA arrive in full flight, playing, jiving & drawing instant crowds. 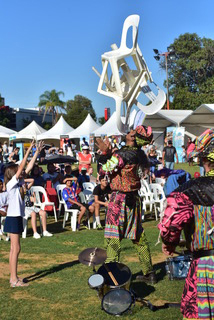 rubbish bins, prams, trucks, coffee cups and sculptures - whatever makes a sound. 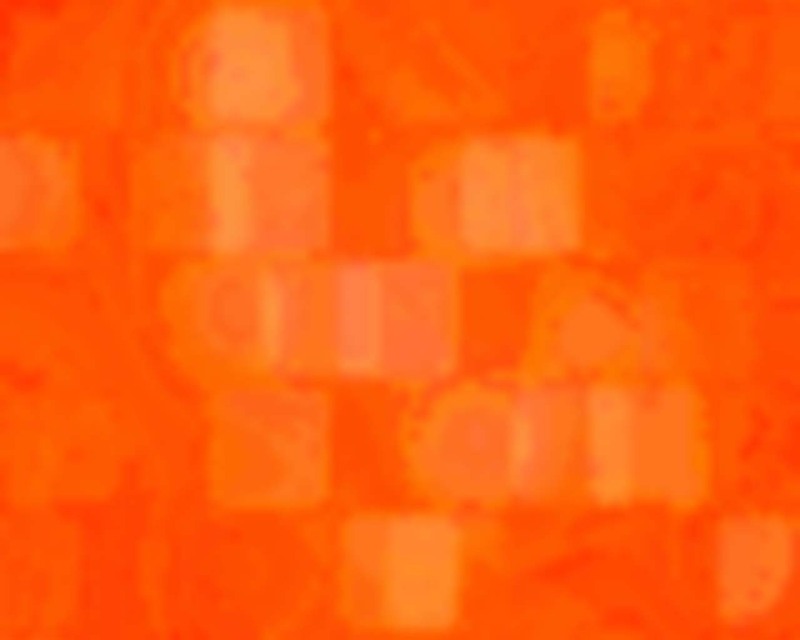 umbrella manipulation just to name a few! 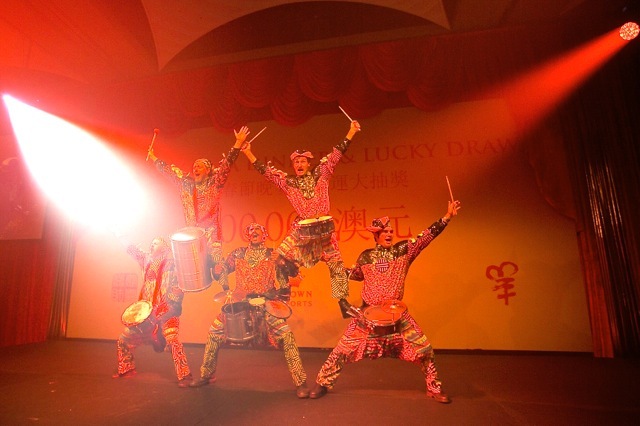 A spectacular, high energy show performed either on stage or in the round. 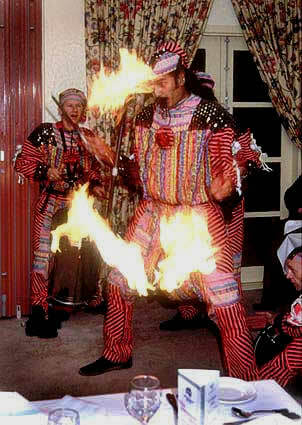 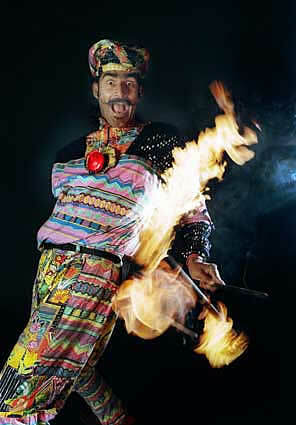 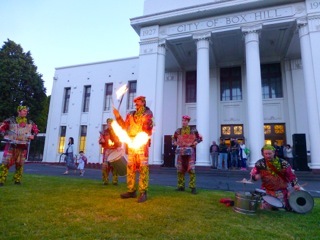 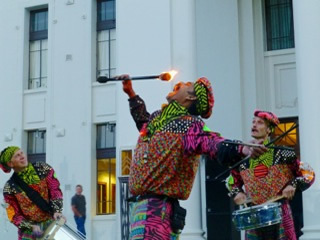 romantic drumming 'duels', fire juggling & a human pyramid. 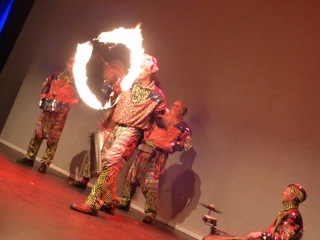 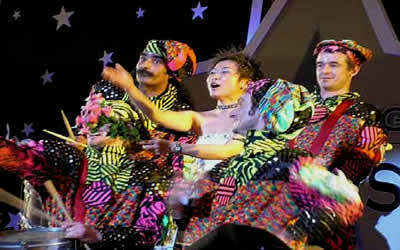 The show is about actively engaging the audience with loads of audience participation. 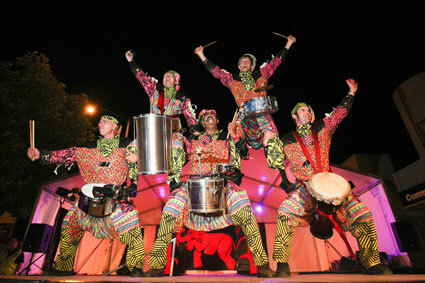 The show can also include an audience participation segment called the "Junk" percussion orchestra. 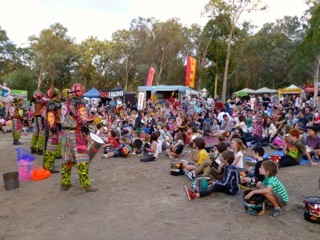 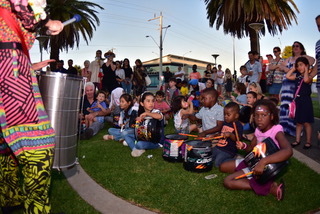 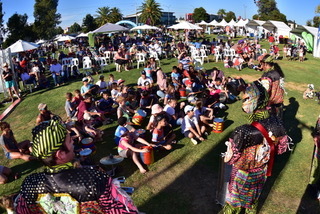 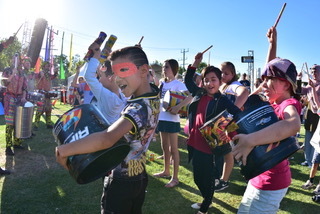 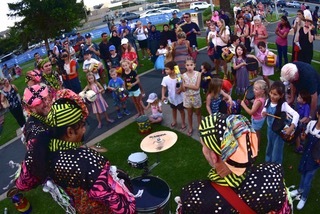 This is where the audience is given a range of found objects & taught a range of basic rhythms that culminate in an all drumming, all stomping, all yelling Rio carnivale style Samba. 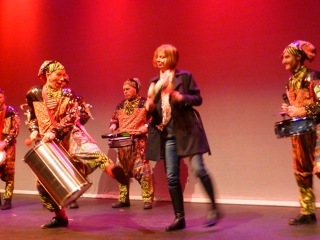 For more info see Drum Out! 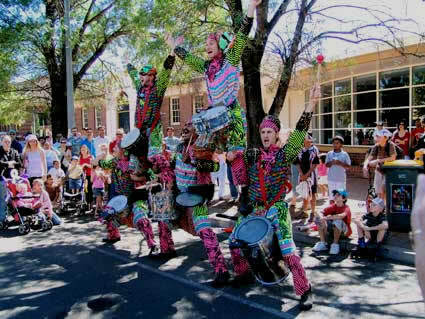 Weddings, Large sporting events & the like. 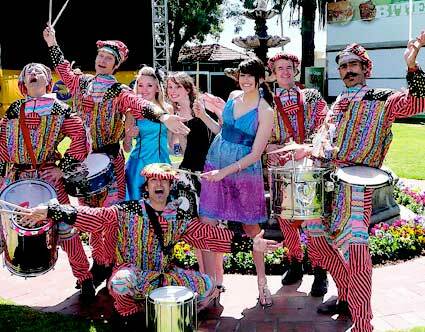 Countless street festivals, corporate & private functions. 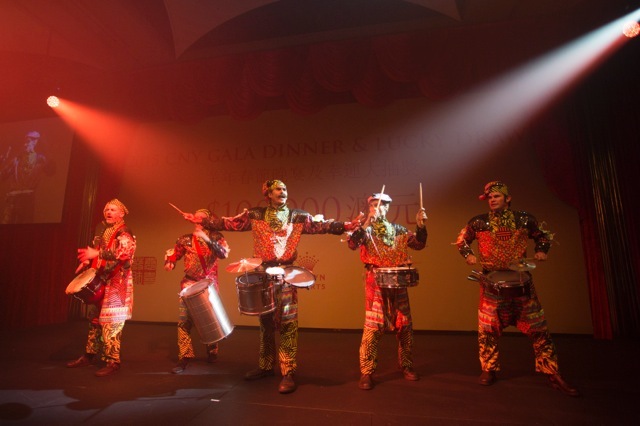 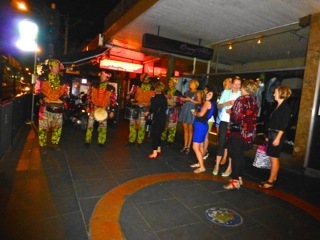 Batacuda contributed to the energy & excitement at the begining of our Gala Dinner event.